U.S.-backed forces are starting to search through the remnants of the Islamic State’s final enclave in northeastern Syria, looking for fighters, mines and booby-trapped explosives. The effort Wednesday to sift through the broken buildings and shredded tents that litter the landscape in the town of Baghuz comes a day after Syrian Democratic Forces took the area from IS fighters in what officials described as a significant blow to the terror group. SDF officials said as many as 1,500 more people surrendered following Tuesday’s incursion into IS’s final stronghold, including hundreds of injured IS fighters. 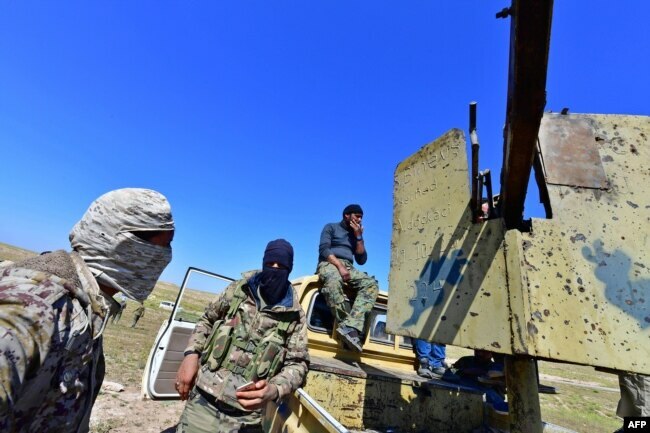 But concerns run high that fighters lurk in trenches dug all around the former IS enclave, as well as in a complex network of caves and tunnels, which some officials said could run for more than two kilometers. 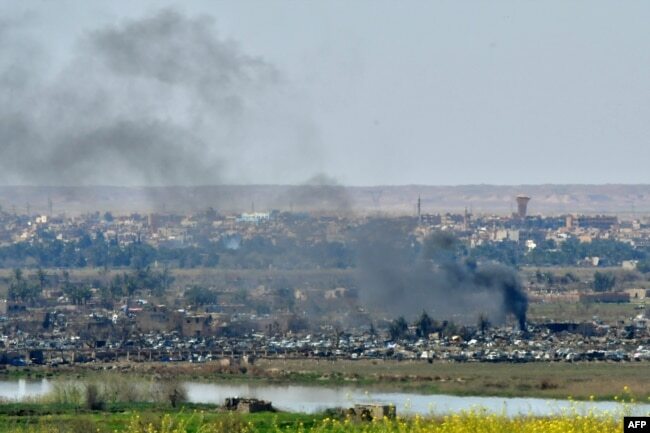 An unknown number of IS fighters have also retreated to a sliver of land along the Euphrates River, and there are no estimates for how many fighters could be hiding in other parts of Baghuz. “A group of Daesh in Baghuz still fight back and hold their families as human shields,” Zana Amedi, a media official with the YPG militia, which has been supporting the SDF offensive, told VOA Wednesday, using the terror group’s Arabic acronym. Despite the official caution, small celebrations broke out Wednesday around Baghuz, with some groups of SDF fighters playing music and dancing. “We have won. We have eliminated the enemy, the terrorists,” Majid Hejjo, an SDF fighter, told the French news agency. “The comrades are tired, and the battle is over,” said another SDF fighter. In Washington, U.S. President Donald Trump was equally effusive, telling reporters on the South Lawn of the White House that the very last speck of IS-held territory would be liberated within hours. Still, SDF officials and U.S. defense officials have been wary of saying the fight against the terror group’s self-declared caliphate is over. 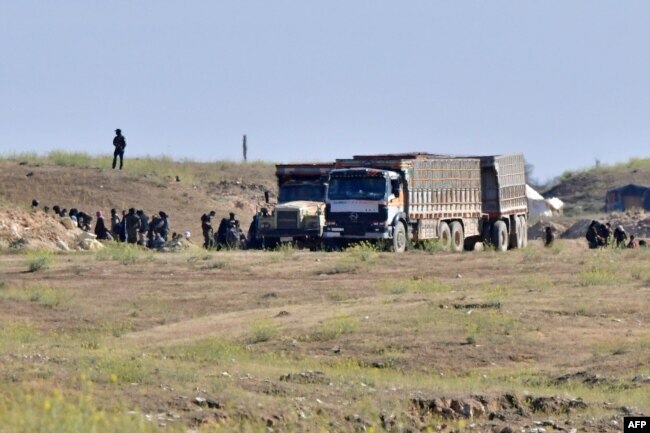 More recently, multiple SDF officials have also forecast the fall of IS within days or even hours, only to see efforts slowed by fierce fighting and the presence of tens of thousands of civilians, mostly the wives, children and family members of IS fighters. They now say more than 5,000 people have fled Baghuz since SDF resumed its final assault on IS just over a week ago, despite earlier saying only about 1,000 civilians and 300 fighters were holed up in Baghuz shortly after the operation to liberate the town got under way last month. The U.S.-led coalition also said Wednesday there has been no letup in efforts to ensure the terror group is defeated. Even once an official announcement is made, U.S. defense officials caution IS still has “tens of thousands” of fighters working either as part of sleeper cells or as part of an active, clandestine insurgency.